Spray an 8×8 baking dish (or even a glass pie plate for a cute look) with non-stick cooking spray. 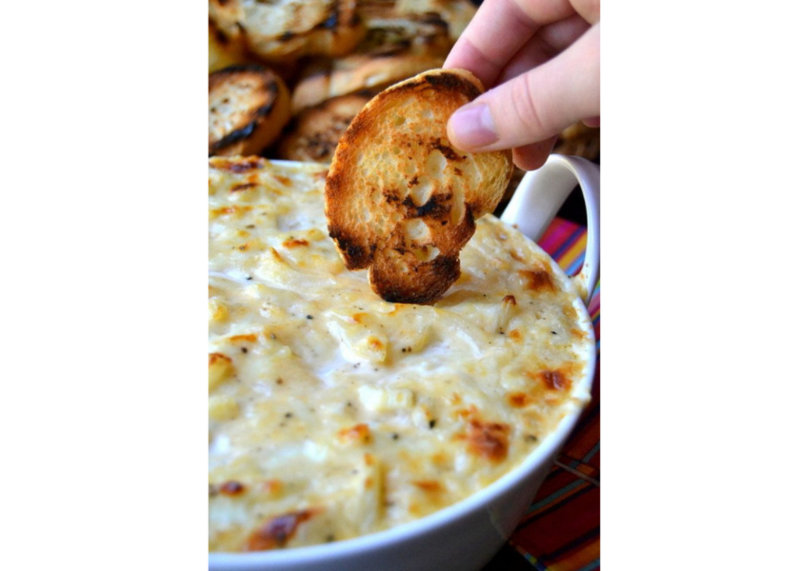 Place softened cream cheese, diced onion, and mayo in a medium size mixing bowl. Stir to combine. Add cheddar, mozzarella, and swiss to the bowl. Add salt and pepper to taste then mix to combine all of the ingredients. Spoon into baking dish and bake for 30-40 minutes. You want the top of the dip to be lightly browned on top.